How to Start as a Non-Technical Founder? If you are serious about starting your own company, you would know that writing full-blown, 5 year business plans is a waste of time. Many smart folks have argued that working on a prototype and getting early user feedback is the right way to start a company. The next logical step is to actually start! This post is an attempt to equip a non-technical person (some of my fellow MBA students) with some of the tools and techniques that can be used to gauge early interest among your target audience and launch the first prototype of your product. Some of the ideas are taken from the awesome speakers who came to our class and some from my own experience. Create a landing page that describes the benefits of using the product. The page serves not only as your 30 second elevator pitch that generates interest but also as a way to do a quick survey with the audience. The survey is used to find behavior of your target audience. Get inspiration from the landing page of Daily.io that clearly describes the benefit and also ask questions that help understand behavior of the target users. There are many tools that are available to design simple yet powerful landing pages. You can use a combination of products such as Launchrock, Wufoo, and Survey.io. I would recommend using Unbounce.com that does all the work without requiring any technical skills. Of course, don’t forget to register your domain name and get a working email. After having designed the landing page, its time to test it with real users. Create a campaign on Google Adwords or Facebook Ads (PPC campaign) and get targeted users to visit your site. Its quite easy to create campaigns and does not require any technical knowledge. As users visit your site, track the performance of the campaign and tweak as necessary. It’s a good idea to ask for email address and/or phone number from your visitors for follow-up. While visitors visit your site and provide feedback (based on your survey), you can now start creating initial mockups of your product. Depending on your comfort with technology, you can design basic web pages using HTML and CSS or use one of the awesome tools such as Balsamiq to create mockups without coding. Balsamiq is great but it’s always a good idea to know basic HTML and CSS. By now, you will have some users who have shown interest in your product. You should now contact these users and show your mockups to get feedback. You should now have enough information on creating the actual prototype of the product. The prototype should be functional, i.e., can be used by customers and should solve a real problem. Don’t worry about width of 450 px vs 454 px or making the font color blue or black. Instead focus on creating a product that users are willing to adopt or better pay (if you do have a monetization model from day one). I would also recommend to learn to code. There are many resources available online that can help you learn at least the basics in few days. If you don’t want to code, then you should have a good friend (me?) who is willing to code for you. But for many, its hard to find. I am not saying code to perfection but learn to code to create basic functional product. If are motivated enough, do read the book Getting Real by 37Signals that describes the best way to create a web-based application (most of it can be applied to other areas as well). I can’t stress more enough on the importance of domain knowledge. Create a blog (e.g. blog.mycompany.com) and start writing on the issues that your product solves. For example, if your product aims to simplify enterprise IT products, you can write about a variety of topics such as the current state of enterprise IT, compare enterprise and consumer applications, and reasons behind slow adoption in enterprise IT. The higher the quality of your blog, the higher the chances of product adoption. Your objective is to be razor focus on the problem you are trying to solve and perhaps be the top five blogs on the topic. Are you still reading this? Ok, time to create a landing page! Do You Need To Increase Your Twitter Followers? At the outset, I would argue that increasing twitter followers should not be your objective. Instead, the high number of followers is a proof that your tweets are useful to your followers. Note that the title of this blog post could easily have been “How to Tweet?” since following best tweet practices will indirectly attract more conversations and thus result in more followers. Enough has been blogged about the ways to increase your twitter followers. This post is not going to repeat the most common and obvious ways. Having said that, there are some practical and highly targeted ways in which you can engage with the community and thus attract more twitter followers. One of the most common suggestions is to retweet other tweets by popular people. But the fact is that simple re-tweeting doesn’t help. You are more likely to engage in a conversation (and thus appear in other person’s social graph) when you are adding your own perspective to the tweet, summarizing the key points, or simply recommending a blog post. Consider this tweet from Chris Dixon summarizing the debate in the article. By summarizing, Chris has added another level of clarity, which is more likely to prompt his followers to either reply and/or read the article. Events are a great way to engage in meaningful conversations that are happening in real time. Engaging with people who are present at the event will have a higher response rate than just re-tweeting the tweets. Most of the events have hashtags but you can also do a simple twitter search to find people who are tweeting. Consider the response I received from Anil Dash who was present at the latest NY Tech Meetup when I was at a class in school. Some brands on twitter have huge number of followers. Engaging with conversations with your brand on twitter cannot only help you achieve visibility but also help other followers of the brand benefit from your conversation. Consider the below example where followers of Tumblr benefit from a conversation between the brand and a user who is facing a problem with one of the product features. Other ways of engaging with a brand include, but are not limited to, genuinely praising/complaining the brand, finding new ways to use the brand’s product, suggesting new features, and blogging about the brand. It’s time to stop bothering about number of followers. Focus on ways to engage with others on Twitter. Happy Tweeting! Recently, I completed the introductory courses of Accounting and Finance as part of Pre-MBA requirement. I couldn’t help resist the temptation of comparing the Pre-MBA coursework with MBA Mondays series started by prolific blogger and a VC, Fred Wilson. Pre-MBA Finance and Accounting online courses aim to teach fundamental accounting and financial ratio concepts. A hypothetical company is constructed and the concepts are explained from the view point of the life cycle of the company from raising money to producing goods to financing to selling to customers. MBA Mondays is a series of blog posts that aims to teach a broad set of fundamental finance concepts. The topics covered range from Present Value of Future Cash Flows to understanding Balance Sheet, Income Statement and Cash Flows to Key Business Metric to understanding risk and return among others. Pre-MBA courses are more hands on in preparing and maintaining actual financial records of the company while MBA Mondays explains the concepts in very simple terms and stresses the importance of knowing this stuff and hiring an accounting/finance guy to prepare and maintain in the long run. Although both explain the basic concepts there is an importance difference between the two – The Community. Although the online coursework has no community aspect, many business schools and even companies now position this aspect as a strong selling point to attract potential candidates and employees. And it’s not a superficial aspect but indeed an important one. Having said that, the objective of this post is not to compare the online coursework with the MBA Mondays series but to emphasize the community aspect of learning, particularly taking an example of the online community of AVC blog. Fred’s post are no doubt insightful and interesting to read. But that’s half of the story. The depth of the topic is almost always hidden in the comments section. On an average, there are about 60-80 comments per post (guesstimate based on recent posts) but some MBA Mondays post can have as high as 170 comments. I always read Fred’s post twice. One immediately as it’s published (as soon as I read the tweet on Twitter) and another, after a day when the discussion has evolved in the comments section. Let’s understand the importance of community through some of the actual examples taken from the blog. a) Sure you can learn accounting concepts but community can help you answer more subtle questions such as how much of financial information to share with employees. What are the best ways to share the information? At what stage companies become creative in their accounting practices? Examples from personal experiences of the members enrich the discussion on hand. b) Members of the community help each other. In the below example, K Harazny explains the concept of Unearned Revenue to ShanaC’s question on accrual accounting in the comments of this post. c) Members provide links to additional resources. One can get all sorts of recommendations ranging from additional books to read for a deeper dive into the topic to the online software for keeping the books. d) The very nature of the blog ensures the community is interested in entrepreneurship, thereby giving a unique perspective to the comments. In the below comment, JLM provides insight to the “progressive” level of staffing based on the stage of the company. e) Discussions can sometimes be very interesting and bring unique perspective. See this thread for a great discussion between JLM and Tereza on “turnarounds”. There are more than 5,000 posts on the blog but I have read only 1% or so since I discovered the blog only couple of months ago while researching startup ecosystem in NY as part of business school research. So the above examples could be limited. However, I would love to learn what other aspects of community learning you are excited about? How to get Google Voice number outside US? Many people have asked me this question. For the benefit of everyone, am sharing here the steps to get your own Google Voice (GV) number. There is no guarantee that this method will work and this may require some bit of technical competency. But if you know how to install a program and read your email, you should be fine. I’m not going to detail the benefits of Google Voice but you may want to see a quick short intro video embedded below if you are unfamiliar with the service. Now, let’s get you a GV number. Before you can have your own GV number, you would need a US number (why?) that GV can forward the calls to. Dollar a month option: As you might have noticed, the zero cost option requires some bit of technical competency and patience but if you are willing to spend a dollar a month, you can get a US number easily. Sign up on Spokn and get a US number for a dollar/month. Your Spokn number can work with any of the SIP clients (see settings) or download the Spokn client from the Spokn site for Windows Desktop, Mobile, Nokia or Blackberry devices. That’s it, you now have a US number. Earlier, one needed an invite in order to register for GV. But recently, Google opened up GV to public with no invitation required. However, there is one small caveat. Update 10:38 am: Just to clarify, though we’ve opened up sign-ups, Google Voice is still limited to everyone in the U.S. for now. Since you are outside US and if you try to register for Google Voice, you will get the below message. In all probability, Google has tracked your IP and knows that you are accessing the service from a non-US IP address. However, you can use a proxy server in order to circumvent this restriction. Basically, all your requests the browser makes goes through the proxy server and the site you are trying to access believes the requests are coming from the proxy server instead of your computer. Google “free proxy server” and you will find dozens of options available but I would recommend HotSpot Shield. Download the client and run the software. Now, if you try to register for Google Voice, you will be taken to a welcome screen and ask to choose a Google Voice number! Follow the steps and register your US number with the Google Voice number. If you want, you can now uninstall the HotSpot Shield software since Google doesn’t restrict accessing GV site once you have registered for the service. That’s it. You now have a working Google Voice number! Fine print: If you choose to go with above steps only to have Google shut your Google Voice account, I take no responsibility. TNT recently ran the promoted tweet of HawthoRNe on twitter. I’m not sure of the economics of the deal but I believe considering the clicks coke ad received on twitter, TNT must have spent a lot of dollars. Out of my curiosity, I clicked on the promoted tweet (see below gallery) and was taken to the TNT page where I was shown a 15 sec promotion of Bose before the actual promotion of recap of Season 1 (as promised by the ad). I clicked on the promoted tweet again thinking this time I would see the actual Season 1 recap but to my disappointment I saw the Nature Valley peanut ad. At first go, I thought this is a mistake which went against the common logic – No one would want to spend marketing dollars to get viewers on the site and then show them an ad and not the actual product. Unless of course Bose is giving TNT a lot more money for each playback than TNT is spending on getting users on the site. For the sake of argument, let’s assume TNT got more money for each playback as compared to the money spent to get X visitors (assuming some visitors would just leave the site before the ad is run) for each playback. This may work for TNT but then it’s a bad user experience. User intends to view the recap of Season 1 and not view a commercial which is not related to Season 1 in any way. Essentially, the message in the ad has to relate to the landing page the user is taken on clicking the ad. If the ad copy and the landing page are not in sync, it may lead to lower conversions. In some cases, the ad copy and message are partially sync where the user has to perform certain actions on the landing page before arriving at the optimal page (as promised by the ad). In these cases as well, there may be lower conversions. Consider the following example. I googled “book hotels in goa” and clicked on the Cleartrip ad (you may or may not see the ad if you google now) which promised to book hotels in goa with a 20% instant cash back promotion. If you look (see below gallery) closely at the ad copy, you would notice that the URL is shown as “cleartrip.com/Goa_Hotels” and the ad headline reads “Book Hotels in Goa”. Obviously, one would expect something similar to hotels in Goa on clicking the ad, but the landing page does not even mention Goa! It’s a generic promotion page (see below gallery) where the 20% cash back offer details are mentioned and place to search hotels. At the very least, the city text box on the landing page should have been pre-filled to connect with the ad copy. Sometimes, it makes sense to translate and imagine the customer experience offline. Customer would go to a travel agency and ask for hotels in Goa. Agent would ask the dates, category of the hotel and any other preference (near to airport etc) the customer may have in mind. Appropriately, agent would then provide the options and also mention that currently there is 20% cash back on all hotels. Mapping online, it translates to goa hotels listing with option to narrow down hotels while mentioning the 20% cash back offer. In fact, Cleartrip has this page (see below) but it has chosen not to take users directly. I would assume they have tried this option but are not getting higher conversions. What do you think? How to handle unexpected downtime? Okay, your website is down. You know it. How do you let others know it? The following outlines the steps to be taken/ processes to be put in place in order to meet the customer expectations in such scenarios. Although, the below is applicable to most online businesses dealing with B2B segments, some of these are applicable to B2C segments (paid) as well. For example, it may so happen that for a set of users with large data sets, feature X is working very slow. Now that we understand the problem, it’s time to communicate the same. Status Page: One should host a separate status page showing status of all products. Usually, it’s a sub-domain (status.your-domain.com) of your domain that your users can go to and see the current status. Ideally, it has to be hosted on a separate server independent of your main production servers and on a different ISP. The status page can take the shape of a blog or one page showing today’s status. See below samples from Google and Dreamhost. Email/SMS: One should also email and SMS (with prior consent at the time of sign-up) the user base informing the problem and the likely resolution time (more on this below). Online: If the site is not working partially, a status on the site can be put up (linked to your status page) to notify users about the problem. Social Media: One should update the current status on social media channels such as Twitter and Facebook. Obviously, don’t forget to update the same once resolved. Believe me, there’s nothing more embarrassing than the site not working while giving a demo to a potential client. It’s disastrous for the sales person and the customer may feel that your company is not competent to deliver the services. If possible, host the demo site (can be demo.your-domain.com) on a separate server with a separate database. Many times, if the customer has bought your product/service offline through a direct sales person, he/she will call the sales person first. In this case, salesperson would contact the customer care team resulting in greater number of calls to customer care team. Hence, it’s important that sales team is also communicated about the problem (ideally by SMS/email since they are most likely in the field) at the earliest. Generally, if you are providing telephone / online chat support to your paid customers, customer care team is the first one to get notified of the problem by the customer. Hence, it’s important that the customer care team knows about the problem and the likely resolution time. Further, it’s important that the customer care executive (CCE) doesn’t give a cookie-cutter answer such as “Your complaint has been noted and it will be resolved within 24 hours”. A better approach is to say something like, “We are aware of the issue [explain the actual issue with possible root cause - one of the server down etc] and our engineers are working hard to resolve the same. Currently, we are not in a position to give a definite time but we expect it to be resolved in the next X hours. You should receive an email/SMS once it’s resolved”. Generally, X is defined in most organizations as the maximum time for a defined category of problem to be rectified. One a side note, this team should be equipped to give on the spot discounts to customers based on their judgement. For example, the team may be able to give one extra day of service free to customers in order to compensate for the loss. Or X% discount on next purchase. Needless to say, a root cause analysis is performed by the engineering team once the problem has been resolved. However, what’s more important is to forward some (or most depending on the severity of the problem) of the client conversations (email, phone calls) to everyone in the engineering team. Hearing the customers first hand is the second best way (best is to meet and observe them in person) to know them and better understand the severity of the problem. What may seem a trivial bug to an engineer might be a big problem for (some of) the customers. I may cover this aspect in detail in another post. Also, in some cases, it maybe important to compensate the impacted users for the duration of the downtime. Say, someone bought your product only for a day and was not able to use for 4 hours. This is generally useful for subscription based products where customer is billed monthly. Is there anything I have missed? Can you think of Indian online businesses who communicate effectively in such scenarios? 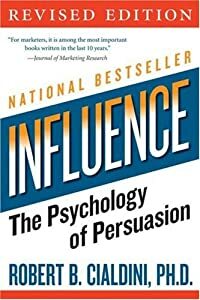 On Dave McClure‘s recommendation, I recently read one of the most amazing book on understanding human beings and marketing – Influence: The Psychology of Persuasion by Robert B. Cialdini. It’s an interesting read and Robert does a good job explaining the weapons of influence (why we say yes) backed with real life case studies and strategies to defend from the same (how to say no). Noted below are the six universal principles explained in the book. Reciprocation: The rule says that we should try to reply, in kind, what another person has provided us. We are obligated to the future repayment of favors, gifts, invitations, and the like. Commitment & Consistency: The rule says that we have an obsessive desire to be (and to appear) consistent with what we have already done. Once we have made a choice or taken a stand, we will encounter personal and interpersonal pressures to behave consistently with that commitment. Social Proof: It’s our tendency to see an action as more appropriate when others are doing it normally. Liking: The rule says that we most prefer to say yes to requests of someone we know and like. Authority: The rule says that we have a deep-seated sense of duty to authority within us all. Scarcity: The rule says that the idea of potential loss plays a large role in human decision making. We are more motivated by the thought of losing something than by the thought of gaining something of equal value. There are many examples that Robert mentions in the book that greatly enhance our ability to appreciate these principles. One such example is described below. In a study, a set of home owners was incentivized to reduce home energy consumption by publicizing their names in local newspaper articles as public-spirited, fuel-conserving citizens. Another set was just told about the benefits of energy conservation and encouraged to do the same. The first set, much to our expectation, reduced energy consumption by the end of the study. However, interesting to note was the fact that these set of homeowners continue to reduce energy consumption even beyond the incentive period. The necessity to consistently behave as per previous public commitment proved to have a lasting impact on these homeowners. Jason Calacanis in his famous Jason’s List mentions “This reciprication effect is a natural part of our existence, and there is nothing wrong with it. Just this week someone who attended a tech meetup at Mahalo met me in a bar and bought me and my father a drink. We talked for 30 minutes, and now for the cost of $15 in drinks I would take that guy’s call any time. How could I not–it would be rude!”. Read complete post on Business Insider. Steve Cheney in his recent post notes “Group buying also does an incredible job creating perceived scarcity”. I’m now actively trying to use these principles in areas such as negotiation and networking. Have you used Robert’s principles to influence others? Or are you planning to use? I would love to hear them. Why You Should Get a Mac? I’ve been responsible for increasing productivity for many of my friends by convincing them to switch to Mac from PC. Every time I engage in an conversation, I find that there are so many misconceptions people have about Mac. As for me, I moved to Mac on 25th July 2009 after experiencing Mac on my HP laptop. It’s not perfectly legal to do so but I installed (hackintosh) to experience Mac. And being an iPhone owner really helped me appreciate Mac and it took me no time to get one of my own. Now, let’s get some things clear. Perhaps, Mac is the easiest OS to use. The trackpad’s multi-touch interface makes it super easy to scroll documents and view photos. You can even pinch to zoom in and out. Well, some things are easier to forget. You will be amazed how quickly you will forget PC after you switch to Mac. There is nothing to learn to use Mac. Just click on the icons on the dock to know about the various applications and settings. And yes, there’s even a right click on Mac! Still not convinced, know the basic difference between a PC and a Mac in this video. Most of the applications are out of the box. iLife (iPhoto, iMovie), iTunes, Safari, iChat for managing photos, music, browsing and chatting. You would not need to download any more software for normal usage. However, there are many applications designed for Mac. Not to mention, your favorite PC applications are always available on Mac. Heck, you can even run windows on Mac for those obscure PC only applications. Trust me, you wouldn’t need one. In case you need, Apple’s award winning support is just a phone call away. I bought my Macbook Pro from US and had upgraded the RAM to 4GB. But unfortunately, the technician somehow missed upgrading the RAM (yeah, that was strange! Do check before leaving the store!) and I got to know only when I was in India. I called support and they shipped the RAM from Singapore to India within 3 days! Sure, you can get an out of date windows laptop for $150. And a decent one would cost around $500. But, the direct costs of an anti-virus, firewall etc would add to your total cost. Not to forget, the opportunity cost when after a month, the PC will become too slow to boot and becomes really sluggish on opening multiple applications. Trust me, that’s one of the reason, Soluto won the recent TechCrunch Disrupt award. And their tagline says it all – “Anti-Frustration Software”. Still with me? Now, here are top 4 reasons for you to get a Mac. At some point of time in our lives, we have been victims of the blue death screen. However, by owning the complete user experience (hardware and software), Apple has been able to build one of the most efficient laptop. Of course, there are applications that sometime hang but that’s nothing to do with OS. You won’t need an anti-virus and need not worry every about using your friend’s USB drive. Macbook has one of the best batteries. Mine lasts about 4.5 hours on full charge even after 10 months of usage. From backlit keyboard to magsafe power port to unibody enclosure to spotlight to Expose, all are designed keeping YOU in mind. The above is just an indicative list to help you explore Mac. There are many other things which you will appreciate as you experience Mac. And if you have any further questions, do let me know in comments. I would be more than happy to assist you in your transformational journey from PC to Mac! How to make your employees use your products? Nick Wingfield has an interesting story on WSJ touching one of the most intriguing topics – Employer’s stance towards workers’ personal use of competitor products. The perils of being an iPhone user at Microsoft were on display last September. At an all- company meeting in a Seattle sports stadium, one hapless employee used his iPhone to snap photos of Microsoft Chief Executive Steve Ballmer. Mr. Ballmer snatched the iPhone out of the employee’s hands, placed it on the ground and pretended to stomp on it in front of thousands of Microsoft workers, according to people present. Mr. Ballmer uses phones from different manufacturers that run on Microsoft’s mobile phone software. To view employees unfavorably or discriminate because of their use of competitor products or services is clearly not a good practice for any organization. No matter how bad it hurts seeing your own employees using competitor products, it’s often always best not to confront directly and certainly not make it a policy. However, one could adopt one or more of the many approaches to promote usage among the company. Some of these are outlined below. Give it free or at reduced price: Google recently gave a Nexus One phone free to all of its employees before the actual launch of the phone. Not only this tactic resulted in improving employee happiness quotient but also provided the company free publicity with everyone talking about it with their friends/family. Make everyone a product manager: In the early stages of the product in an already established market, the cost of switching existing users to your own product can be quite high. By promoting employees to contribute ideas towards improving the product not only ensures usage but also greater buy-in among the employees. Use it internally: Using the product internally often helps identification of problems early resulting in a more robust product. By using the product within your own organization successfully is the best proof of concept that the product in fact works and provides Sales the necessary confidence to sell outside. Be passionate: The truth is if you are not passionate about it, the world too will not be passionate. Steve Jobs is known for the famous product launches emphasizing words such as “incredible”, “amazing” and “awesome” at least a dozen times within a keynote address. If you are a policy maker in your organization, think before you want to outright ban / discourage use of competitor products. There are obviously better options. Is your company ready to adopt “Work from Home” model? Toni Schneider (CEO, Automattic) has an excellent post describing the reasons for a company to have a distributed team. I’ve noticed a new trend in Silicon Valley. More and more startups are beginning life as distributed companies, and investors and partners are starting to accept it as normal. Our company Automattic is distributed, and I’m ready to sing the praises of running a business in this way. BTW, I think distributed (“evenly spread throughout an area”) is a better description than the more commonly used virtual (“nearly real or simulated to be real”) for a company that has people working from all over the place instead of a centralized office. In Automattic’s case, we currently have over 50 employees spread across 12 US states and 10 countries. A follow up post by Bob Patterson describes the cost and and time saving benefits of a distributed company model. With NO Commute – so they get hours of time back a day. Let’s say 2 hours a day. 10 hours a week. 40 hours a month. (That’s a working week). 12 weeks a year! That is a lot of dentist visits, plumber visits, time with kids and spouse, time to nap, time to do whatever. And all this time was pulled out of the air as a result of not commuting. Then of course there are the direct costs of commuting – the car, the transport. It costs $9,000 a year to run a car fully costed. How about coffee and lunch? What do you spend today? $5.0 – $20 a day. That is $1,000 – $4,000 a year for coffee and lunch! How about clothes? I used to buy 2 suits a year as a man. Women can’t get away with that. How much does going to work cost you in clothes? $2,000 – $5,000. People feel far too comfortable walking to the other person and talking face to face rather than picking a phone and do the talk. They feel more confident in convincing/communicating others face to face. If majority of the employees don’t exercise the work from home flexibility, then there always a fear that those exercising may be treated indiscriminately by their managers. In case of no deadlines and/or clear accountability, those exercising the work from home option often tend to relax at home, resulting in lower productivity. Companies don’t pay for number of projects done but for number of hours clocked. Companies believe strongly in cubicles and glass doors that differentiate employees. Employees want to exercise authority/control over others. What other reasons can you think?